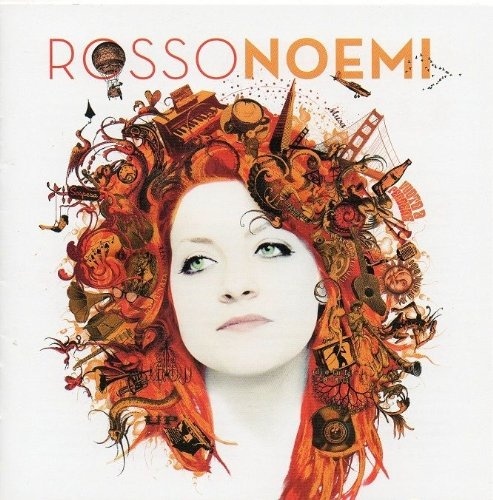 Recorded in California under the supervision of renowned producer Corrado Rustici (Ligabue, Zucchero, Elisa, Negramaro, Francesco De Gregori), who was also in charge of the arrangements of mostly guitars and keyboards, RossoNoemi is the Roman singer's second album. Whereas her accomplished debut was rather in line with the mainstream formulas of Italian pop, Noemi sounds positively liberated in this much more rock/soul-oriented collection that amply justifies her rising status on the Italian music scene. What's more, RossoNoemi benefits from inspired songwriting contributions by the likes of Pacifico, Kaballà, Tiromancino's Federico Zampaglione, and Diego Mancini (whose "Odio Tutti i Cantanti" is a true highlight), and of course, Vasco Rossi and Gaetano Curreri, authors of the lead single "Vuoto a Perdere," also included on the soundtrack of Fausto Brizzi's Femmine Contro Maschi.